PROVIDING THE HIGHEST QUALITY SERVICE IS HOW WE DIFFERENTIATE SANITATION STRATEGIES FROM THE COMPETITION. Biomedical research facilities demand a high level of sanitation to help protect their research integrity. In essence, good research demands clean equipment and environmental surfaces. Sanitation Strategies' unique ServSTAR® service provides a holistic approach to addressing your sanitation needs. Our highly skilled service team provides routine service visits to keep your chemical dispensing systems well balanced and ready for the toughest cleaning challenges. Our technicians are also available to help address any sanitation issue that may arise between routine service visits - just give us a call. Rest assured, our service team is committed to helping you succeed in your sanitation efforts. No one delivers on-the-ground service like Sanitation Strategies. Our satellite-monitored service vehicles can be dispatched within minutes of a customer’s call. A highly skilled service technician will arrive shortly to address whatever sanitation equipment issue you may have. Our service technicians are trained to keep your sanitation equipment well balanced and ready for the toughest cleaning challenges. Employee training remains one the most challenging responsibilities of any employer. Sanitation Strategies assists its customers with this daunting challenge by providing on-site training for employees in the areas of chemical safety, chemical application systems, employee hygiene, environmental sanitation, food safety practices, and GMP compliance. Customized training programs are also available to help insure our customers realize the most effective hygienic solutions for their critical environment. 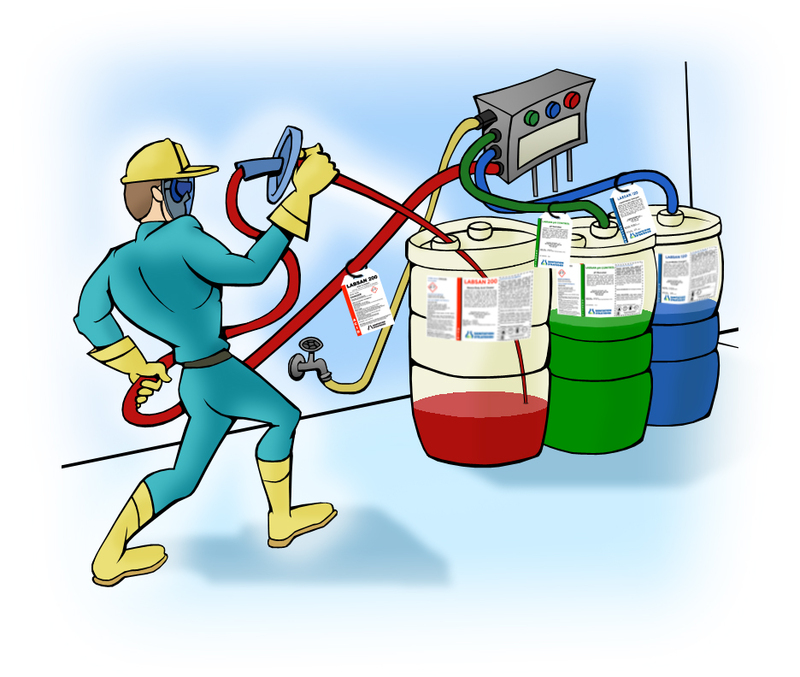 Our goal is to our customers with the necessary knowledge and skills required for safe handling of chemicals. Our ChemTrain program reviews safety measures that need to be followed while using chemical application and dispensing equipment in order to prevent accidents, like a chemical discharge. One of the most important topics our ChemTrain program covers is the importance of PPE, personal protective equipment. 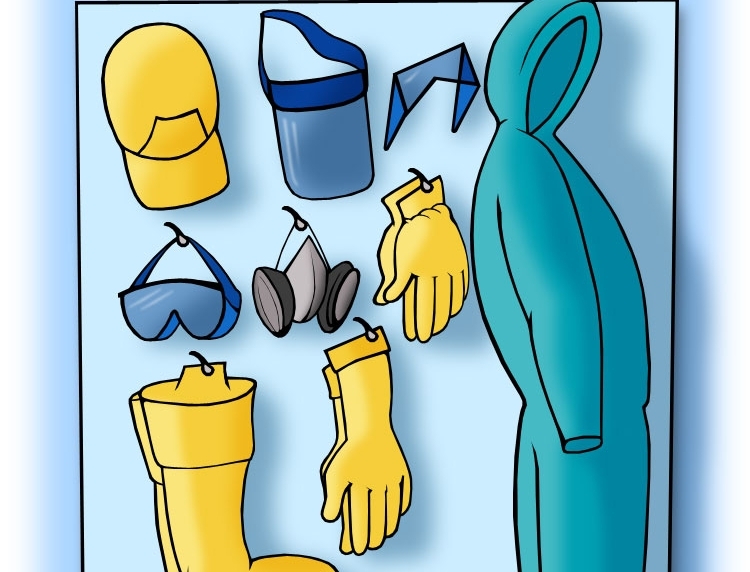 It is a key component of proper chemical safety practices to guard your health and safety so the course goes over the different proper types and uses off PPE as well as where to locate this information prior to handling chemical. Whether you need help getting your caging cleaned or how to interpret ATP testing results, Sanitation Strategies can help. As experts in the world of cleaning, our technical group brings a wealth of knowledge to the table to enhance and improve your sanitation processes. Our expert team can assist with developing process improvements that reduce operation expenses related to chemistry, labor, water, energy, all while ensuring the highest level of sanitation. Give us a call today to learn more.